Family and friends may call at the Amos Carvelli Funeral Home, 201 Edison Street, Nutter Fort, on Friday, from 2:00 p.m. to 8:00 p.m. A prayer service will be held at 7:30 p.m. to conclude the visitation. A Mass of Christian Burial will be celebrated on Saturday, April 6, 2019 at 12:00 Noon at the St. James Catholic Church, 2107 Pride Avenue, Clarksburg, with Father Patrick Wash as Celebrant. Interment will follow in the Holy Cross Cemetery. 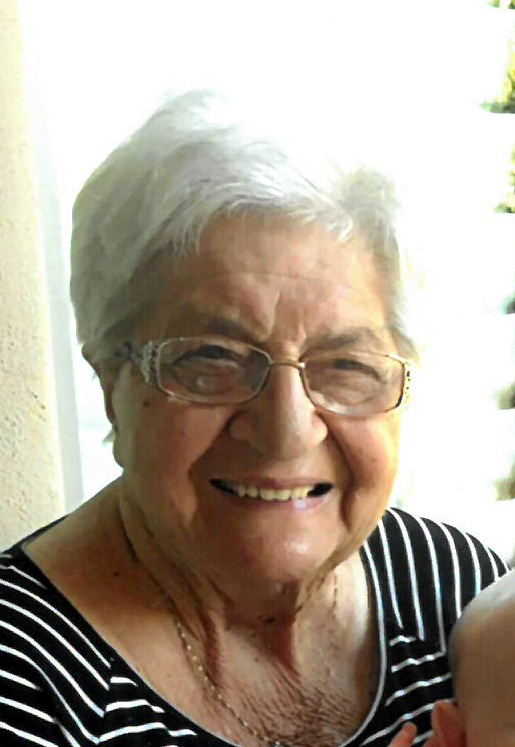 Rose Marie Tiano Lopez, age 88, of Clarksburg, WV, passed away on Tuesday, April 2, 2019, at the United Hospital Center. She was born in Clarksburg, WV, on October 2, 1930, a daughter of the late John and Catherine Pinella Tiano. She was married on July 29, 1951, to Francis X. “Frank” Lopez, who preceded her in death on April 6, 2014. Mrs. Lopez is survived by four sons, Samuel “Zeke” Lopez and his wife Linda, John Vincent Lopez and wife Mary Jo, Francis X “Franny” Lopez and his wife Mary Jo, all of Clarksburg; and David Michael “Bubba” Lopez and his wife Robyn of Martinsburg, WV, one daughter, Mary Rose Roqucki and husband Bobby of Temple, AZ; 24 grandchildren; and 26 great grandchildren. She is also survived by one brother, John Tiano and wife Jean of Clarksburg; one sister, Betty Jean Tiano Rossana and husband David of Clarksburg; as well as several nieces and nephews. In addition to her parents and husband, Rose was preceded in death by her grandson, Tony Lopez, one sister, Patty Oakes and one brother, Louis Tiano. Rose was a graduate of Washington Irving High School. She was the former co-owner, along with her husband Frank, of the Bluebird Store in Clarksburg. Mrs. Lopez was a member of the St. James Catholic Church, a former member of the Catholic Daughters and the Altar Rosary Society. She was a wonderful homemaker and enjoyed preparing pasta and apple pies for her family dinners on Sundays. She will be sadly missed by her family, and all of those who knew and loved her.